We found 143 Golf deals in Dayton. From $477: A stay in a posh townhouse on sunny Hilton Head Island + a golf package! 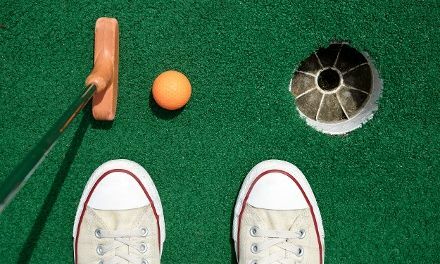 Lessons with a PGA Professional Instructor at Rollandia Golf Center (Up to 55% Off). Three Options Available. 12-Pack of Titleist Pro V1 Mix Recycled Golf Balls. Free Returns. 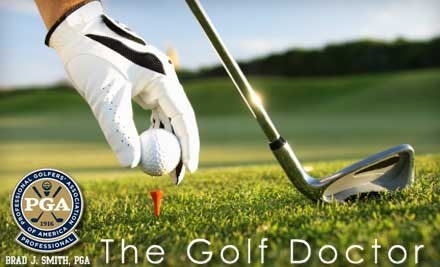 Six-Week Instructional Golf Program Starting May 10 through Hank Oakes Golf (52% Off). Four Locations Available. 2-Night Stay for Up to 8 with Golf-Cart Rental at Island Club in Put-in-Bay, OH. Combine Up to 6 Nights. Stay at Edgewater Beach and Golf Resort in Panama City Beach, FL. Dates into February. Stay with Daily Dining Credit and Mini-Golf Passes at Bavarian Inn Lodge in Frankenmuth, MI. Dates into April. Stay with Nightly Golf Credit at Bright Leaf Golf Resort in Harrodsburg, KY. Dates into April. Stay with Mini Golf and Optional Water-Park Passes at Skyline Inn Niagara Falls in Niagara Falls, ON. Dates into May. Stay with Optional "Emerald Princess" Casino-Boat Tickets or Golf Game at Jameson Inn in Brunswick, GA. Dates into July. Stay at Edgewater Beach and Golf Resort in Panama City Beach, FL. Dates into July. Stay at Salishan Spa and Golf Resort in Gleneden Beach, OR. Dates into June. Stay with Wildlife-Park Passes at Mystic Dunes Resort & Golf Club in Greater Orlando. Dates into July. 1 Night for Two with Dining Credit and Golf at Lenape Heights Golf Resort in Ford City, PA. Check in Sunday–Thursday. Stay with Mini Golf and Optional Water-Park Passes at Skyline Inn Niagara Falls in Niagara Falls, ON. Dates into July. 2- or 3-Night Stay for Eight with Optional Golf-Cart Rental at Island Club in Put-in-Bay, OH. Combine Up to 6 Nights. Adidas Golf 3 Stripe Shorts CLOSEOUT Mens NWT Lightweight Choose Size & Color! Stay at Legacy Golf Resort in Phoenix. Dates Available into September. Stay at Lajitas Golf Resort & Spa in Lajitas, TX. Dates Available into September. Nike Golf FI Impact Golf Shoes CLOSEOUT Mens 611510 Spikeless New- Choose Color! Stay with Wildlife-Park Passes at Mystic Dunes Resort & Golf Club in Greater Orlando. Dates into October. 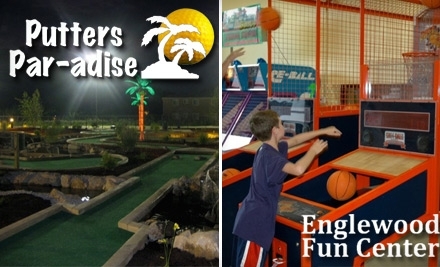 Stay with Mini Golf and Optional Water-Park Passes at Skyline Inn Niagara Falls in Ontario. Dates into October. Stay at Pinestone Resort, Conference Centre & Golf Course in Haliburton, ON. Dates into October. Adidas Golf Flat Front Golf Shorts Mens NWT Comfortable - Choose Size/Color! 2-Night Stay with Optional Spa Credit or Golf at Kingwood Country Club & Resort in Clayton, GA. Combine up to 4 Nights. 2-Night Stay for Two at Waynesville Inn Golf Resort and Spa in Waynesville, NC. Combine Up to 4 Nights. Stay with Tokens and Mini-Golf Passes at Bavarian Inn Lodge in Frankenmuth, MI.